If you are looking to increase conversions online, then the number one way to do so is by creating a dedicated landing page designed to encourage users to take an action. That action could be to purchase a product or service, signup for a mailing list, download a digital product and so on. You can use a landing page to send paid traffic from Adwords or Facebook to or you could use it direct email list signups to as part of a sales funnel etc. If you want to make the most of your available traffic, you will see better conversion rates by sending them to a landing page rather than your website homepage. The reason for this is you can tailor the landing page to your required outcome, where your homepage is more a general overview of your website which will include lots of other information and links and navigation menus to other parts of your site – all of these other links are distractions from the goal you want the visitor to take. Another reason to use a landing page is called “Message Match” which means matching the content of your landing page very closely to the advert which brought them to the page. A carefully planned advert and landing page can reinforce the message that you are advertising. You can match colors, headline text, imagery and so on so the transition from advert to landing page is as seamless as possible. You can build these landing pages by hand from HTML and CSS if you have the knowledge but a much better way is to use a service designed to handle landing page creation and hosting. One such service is called Unbounce, which is designed for this task alone. It will let you create landing pages using their builder, integrate with other systems like email, CRM tools and so on and it also allows you to carry out testing with A/B tests and dynamic text so you can optimize the page for the most conversions. You can also download templates for Unbounce to use with the service which is why we have put together this collection. 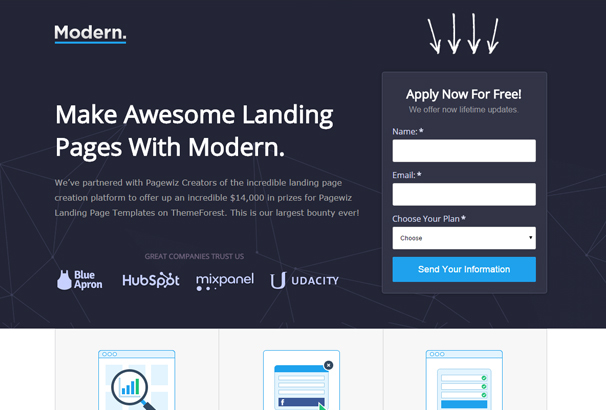 We have hand-picked over 40 different Unbounce Templates for businesses so you build the perfect Landing Page. Koma is a premium landing page template for Unbouncing landing pages with various features such as- Fully responsive, parallax effect, smooth scroll, integrated CSS effects and much more. A premium marketing page template perfect for launching a new product, event or a simple communication. Its features include – fully responsive, +2 landing page variations, well documented and so on. 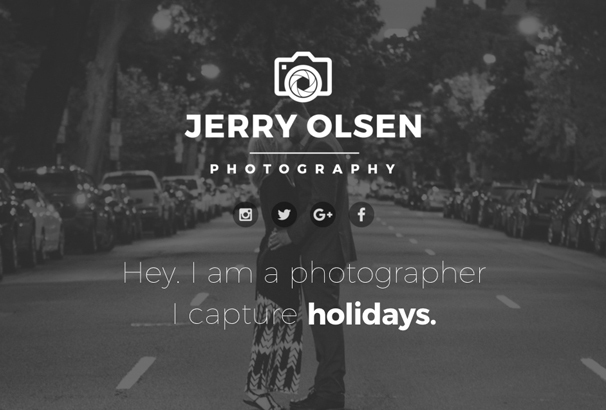 A clean and modern landing page template designed for photographers. This template features drag and drop builder, smooth scroll, high conversion rate, fully responsive, and so on. 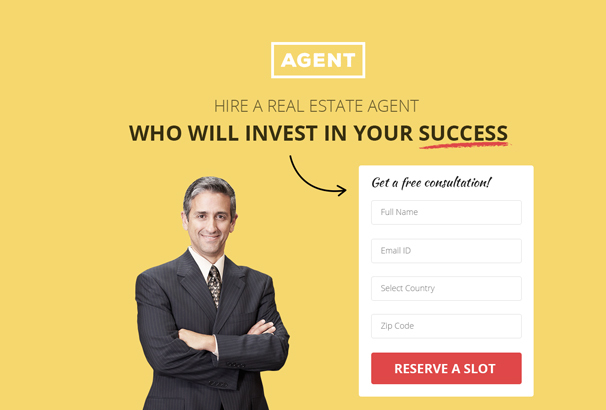 A modern marketing unbounce landing page. It can be used for service promotion, or click-through campaign. This template has 2 different layouts, with video support, mailchimp integration, conversion focused design and many more. 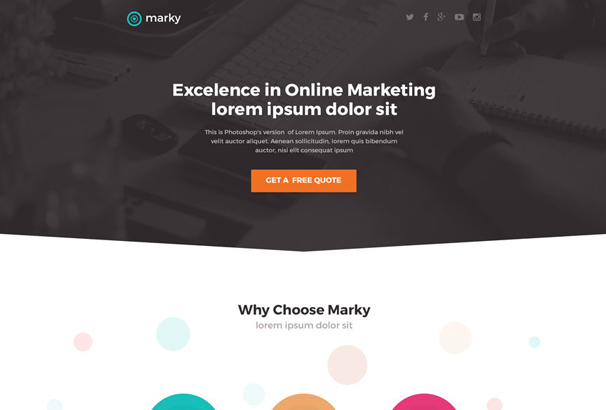 Marketer is a premium marketing unbounce template with features like fully responsive, parallax effect, easy to customize and high conversion rate. 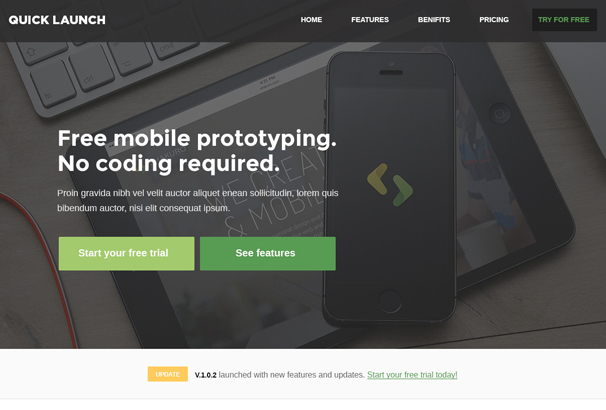 Design awesome landing page along with form within minutes. 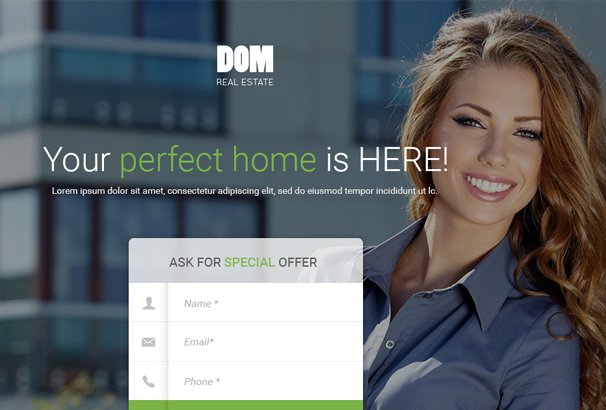 Built for the real estate industry, DOM is conversion oriented landing page that is pixel perfect and easy to adapt. This theme has PDS file included with it. 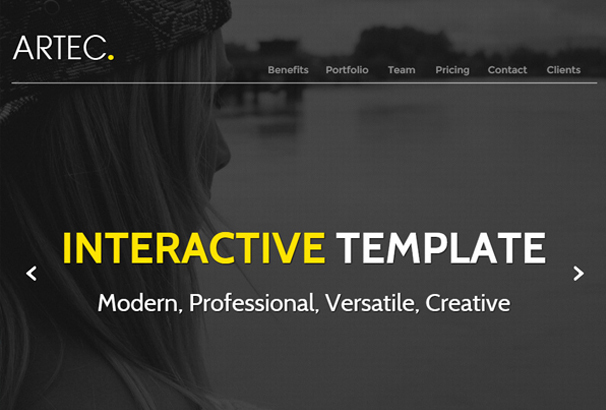 This template MyTuts features a responsive design, parallax effect, smooth scroll, etc. 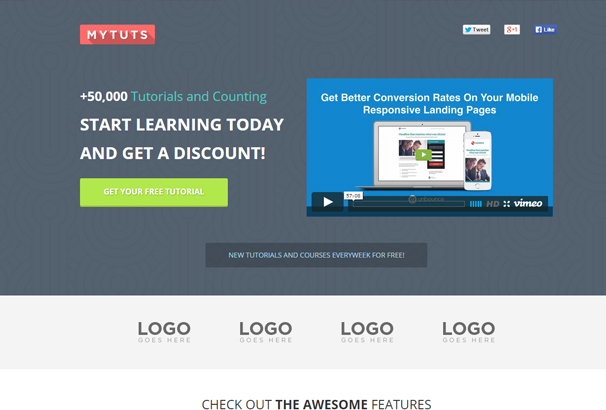 A great landing page for any e-course and Education blog/website. 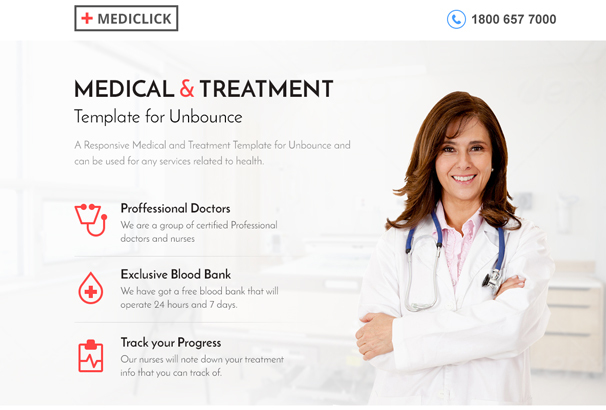 With a clean and modern design, MediClick is a perfect landing page template for Medical/Beauty/Dental care etc. A fully responsive template with click to call facility, top notch support and many more. 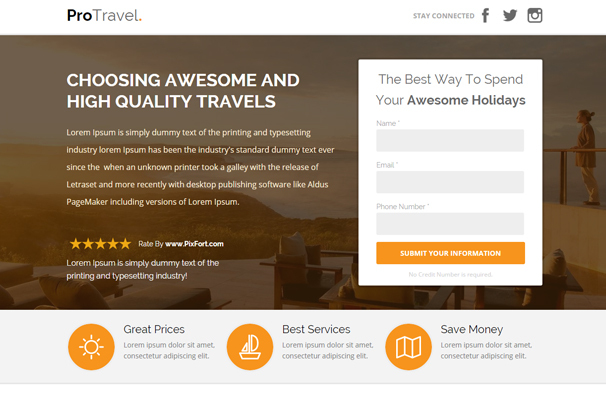 The ProTravel website template offers a clean and responsive layout that is perfect for Travel Agencies. This template is loaded with features like parallax effect, image placeholders, etc. 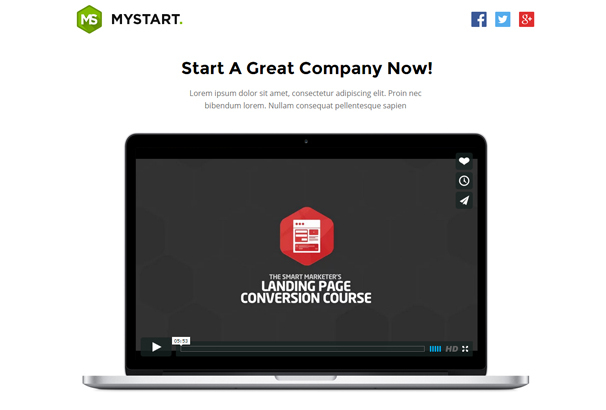 MyStart is a Startup landing page template. It offers a drag & drop builder, exclusive video section and responsive design that makes the website perform equally well on devices of different sizes. MyBox is a creative, one-page agency template that will give your design agency a brand new look. It is built in accordance with the latest web design standards and features a clean layout, parallax images, drag & drop builder and more. 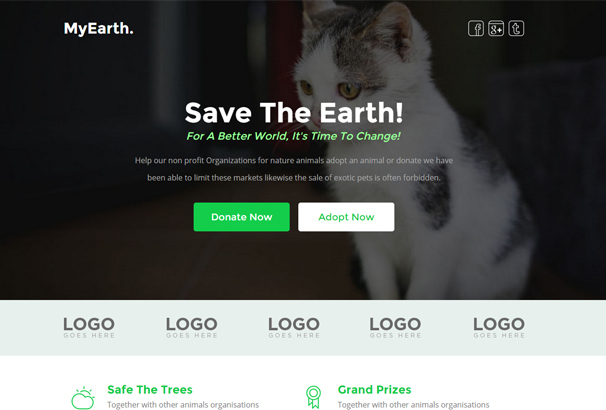 MyEarth is a fully responsive, 1 column Non-profit templatethat combines a lovely design with great functionality. This template features parallax images, smooth scroll and much more. 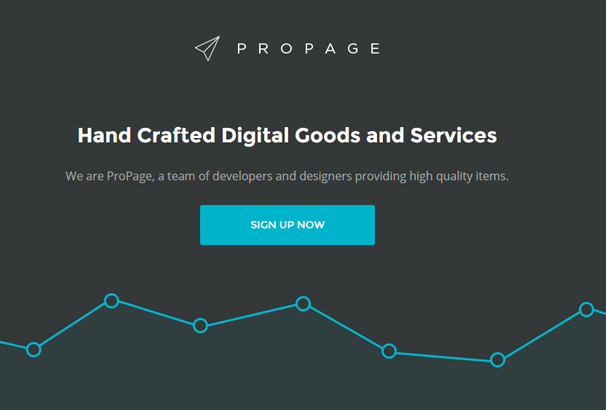 Propage is multipurpose, unbounce template that features 4 landing pages. This template is fully responsive, easy to customize and well documented. With a clean and modern design, Artec is a fully responsive Affiliate template. It offers parallax images, video support and many other features. 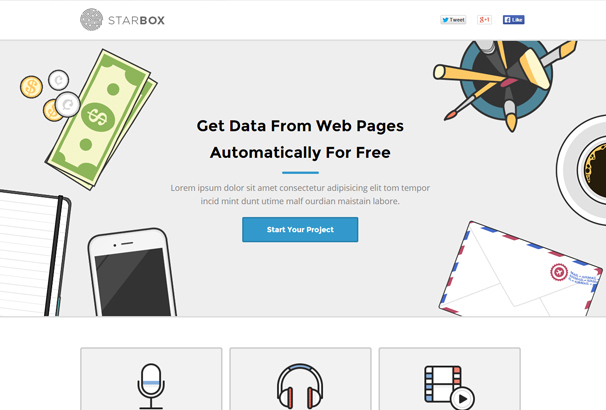 The StarBox free landing page template offers parallax images, video section and a clean and responsive layout that automatically adjusts your pages to any screen resolution. 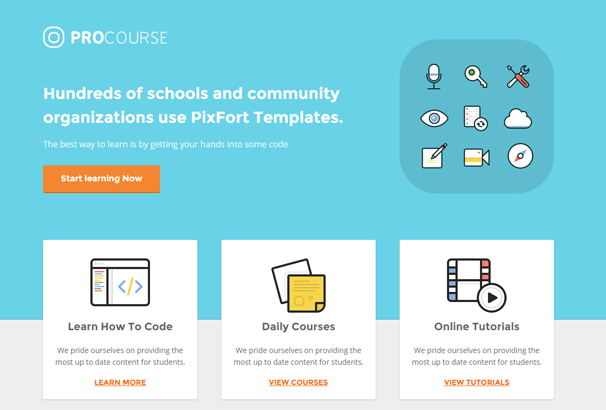 Yet another landing page template, suitable for any E-course & Education website. 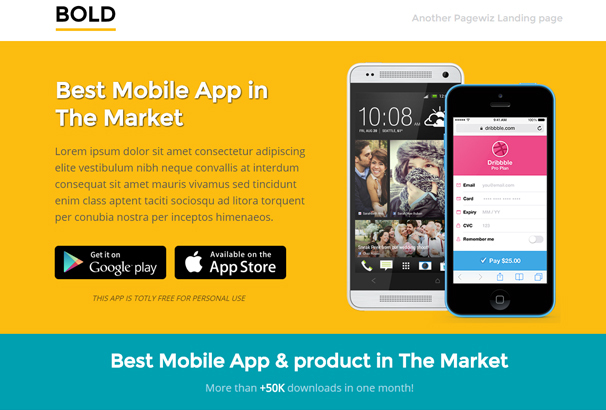 A beautifully designed template that is fully responsive. 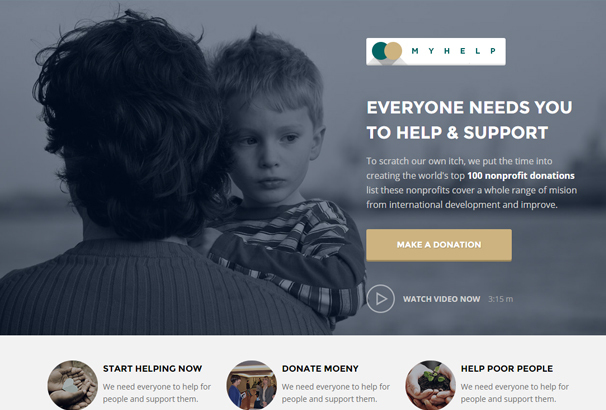 Design a modern & high conversion landing page with MyHelp. This template comes loaded with plenty of features like Drag & Drop, Parallax effect, smooth scroll and so on. 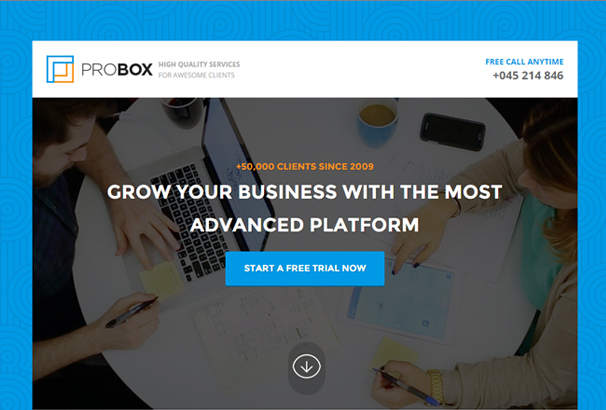 Probox is a professionally designed SaaS Trial sign up template. 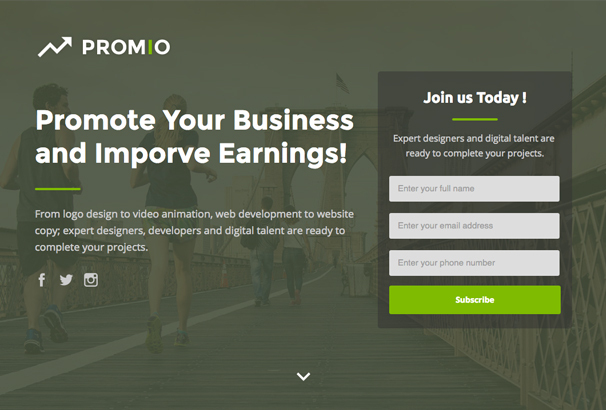 Design a modern, high conversion landing page with awesome animation effects in minutes with this template. 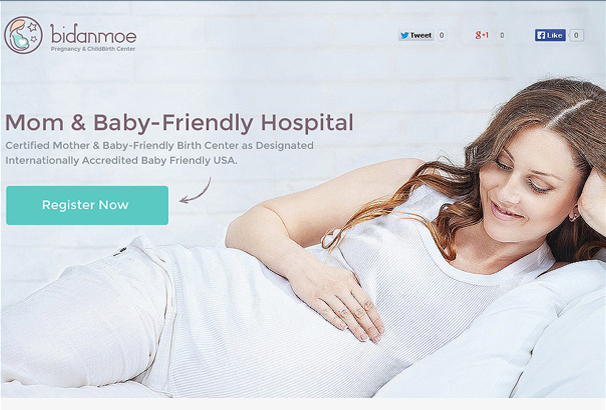 A perfect landing page for pregnancy and childbirth services. And with its fully responsive, clean and modern design this template is sure to attract visitors to your page. 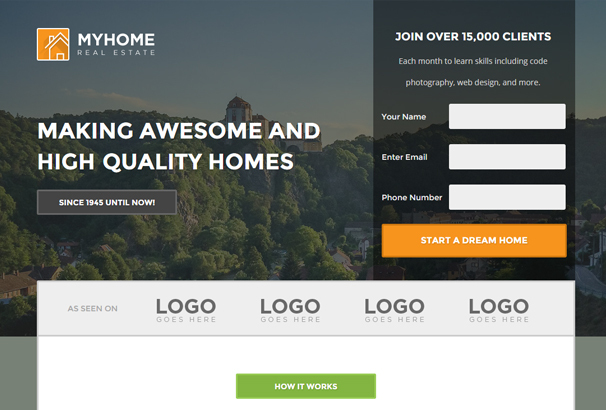 MyHome is responsive landing page template specifically designed for Real Estate. It is preloaded with an assortment of useful features, like drag & drop builder, smooth scroll, parallax effects, and much more. 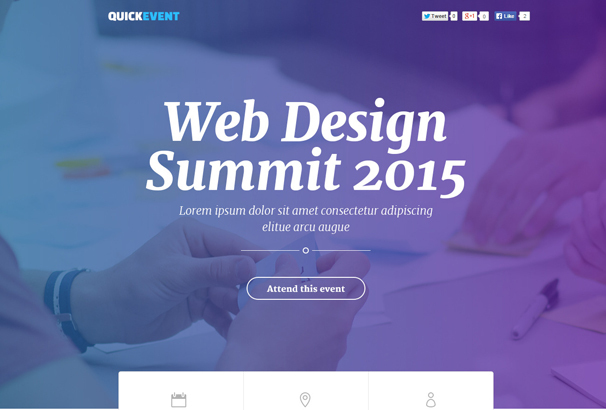 QuickEvents is a professionally designed landing page, best suited for Events, meetups or seminars. 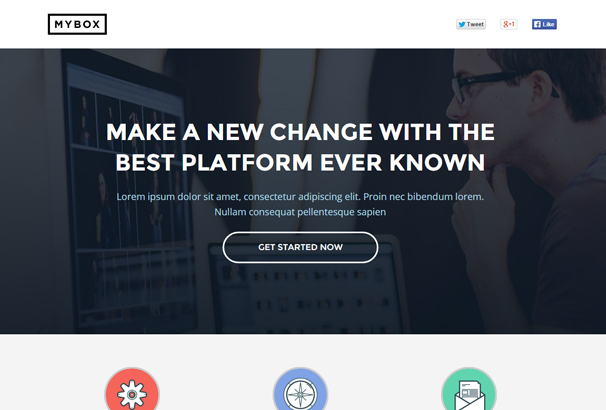 Apart from being responsive, this template is easy to modify using the Unbounce page builder. 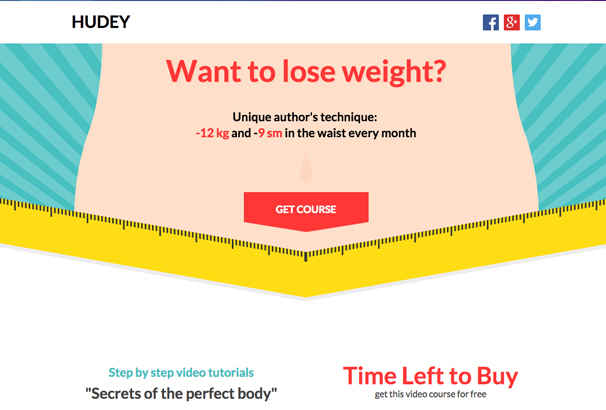 Hudey is a responsive, clean and minimal design template, ideal for websites that deal with weight loss programs. This template features a time left to buy counter, parallax images and so on. 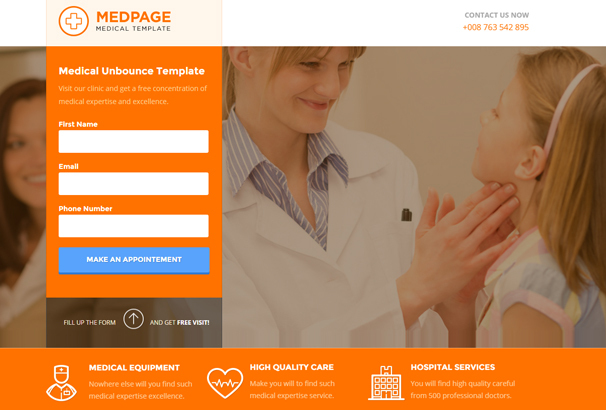 MedPage is an ideal landing page for Medical and Health related websites. This template cansupport images with parallax effects along with being responsive with all devices. Unbounce is multipurpose, responsive template that can be used with Unbounce DIY landing page platform. This template can be customized to be used for various purposes like Real Estate, Legal,Education,Startups,etc. It offers smooth scroll, embed video & call to action and many more. 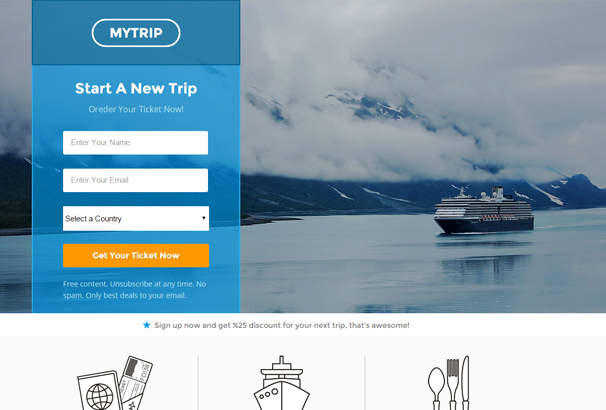 Featuring a clean and modern design, MyTrip is a landing page template that is perfect for your travel or tourism website. It comes loaded with several features like parallax effect, editable mock-ups, image placeholder and much more. 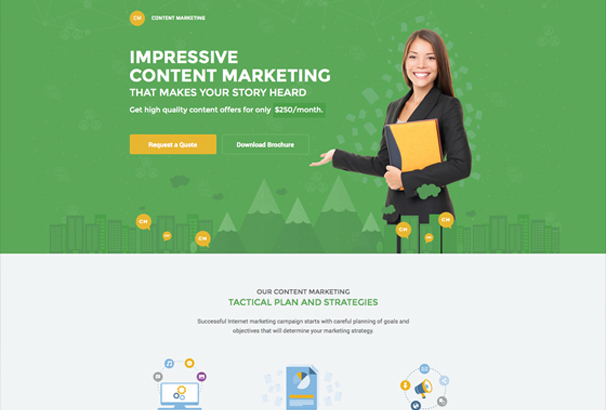 With 4 responsive designs, drag and drop feature, Content marketing template is very much appropriate for digital marketing agency, seo service, social media, application, etc. 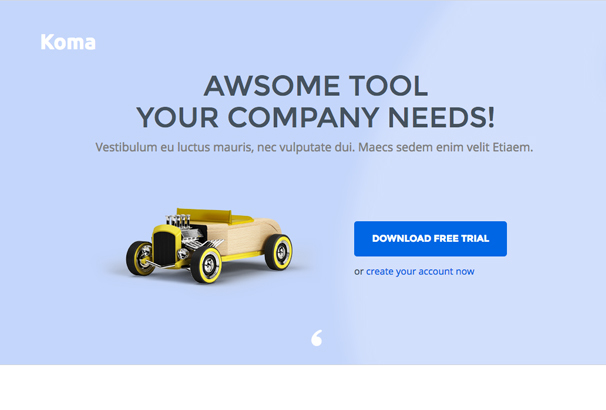 This template is cross browser compatible, responsive, includes email form and much more. 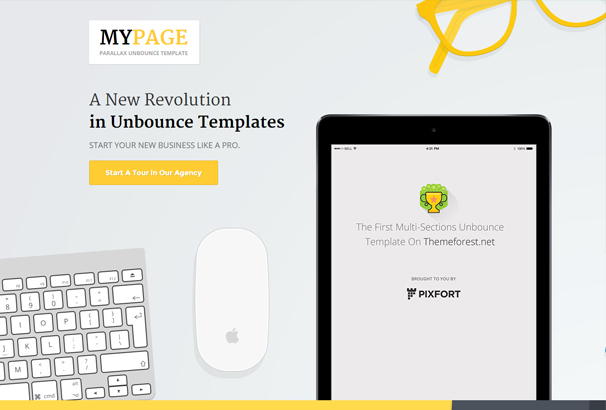 Featuring a clean and modern design, MyPage is premier multi-sections template. If offers a ton of features which includes, a new multi-section parallax effect, confirmation page, fully responsive and 5 PSD files. 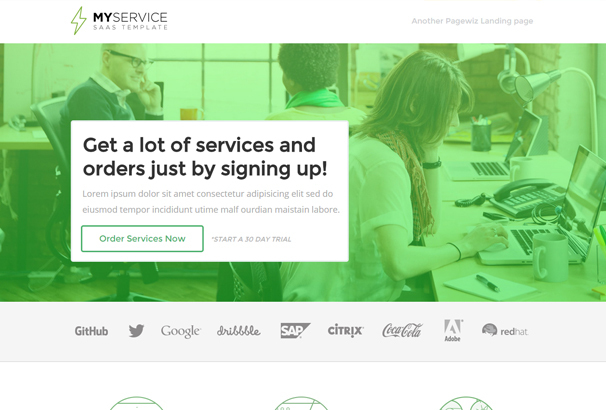 Another landing page template, MyService is responsive, features images with parallax effect, pricing tables, image placeholders and much more. With a clean & modern design, Bold is a responsive App Landing page template offering you well-designed, highly-intuitive, efficiently coded, SEO-ready and responsive HTML landing page templates. 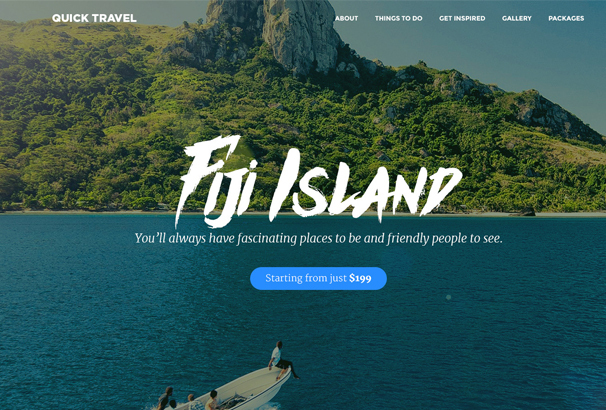 If you are designing a website on Travel & Tourism that offers special tourism packages to exotic locations, QuickTravel would serve as an ideal landing page template for you. 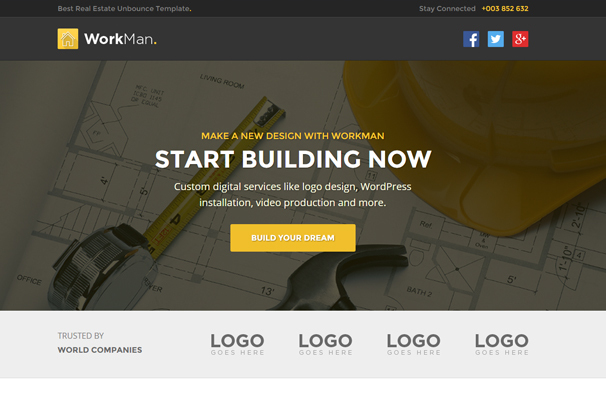 This template offers many features, along with being fully responsive. 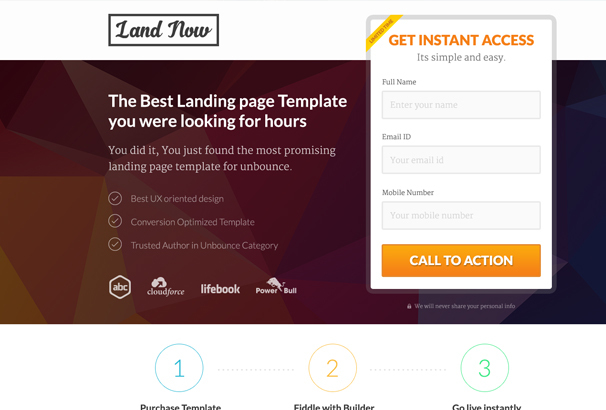 LandNow is a creative, multipurpose DIY landing page template featuring one of the best UX oriented design. Easily customize this template to use it for various purposes like real estate, education, Health & beauty and many more. 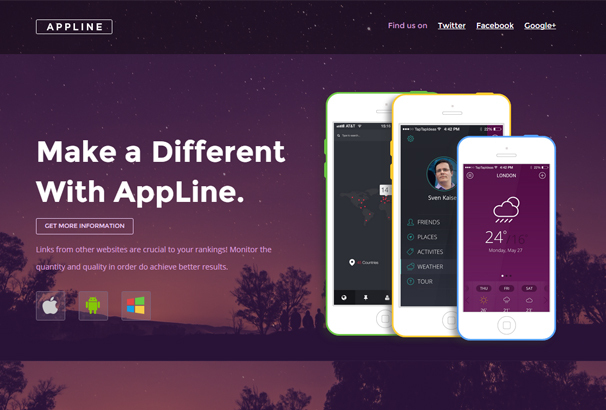 AppLine Landing Page Template is an amazing startup and/or service launch landing page which is extremely easy to use. Besides its unique and modern look, this template is responsive, includes 2 landing pages and a confirmation page. Workman is a Real Estate and Contruction template. Easily build a stunning, responsive landing page, using its various features like parallax images, drag & drop builder and much more. 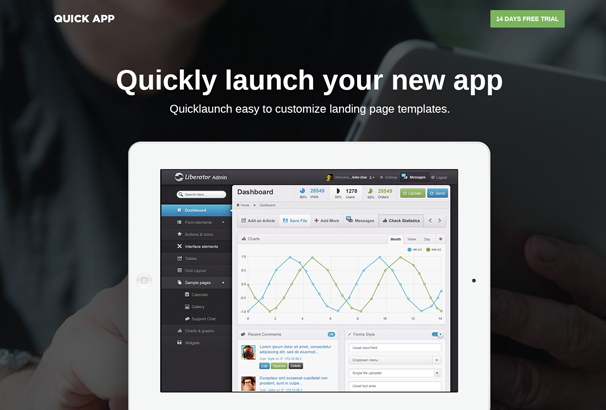 Showcase your mobile apps and games before launching using the QuickApp landing page template. It boasts a clean flat design that is easy to customize. Modern’s a multi-purpose template which means that you can use it literally for any kind of website that you want. 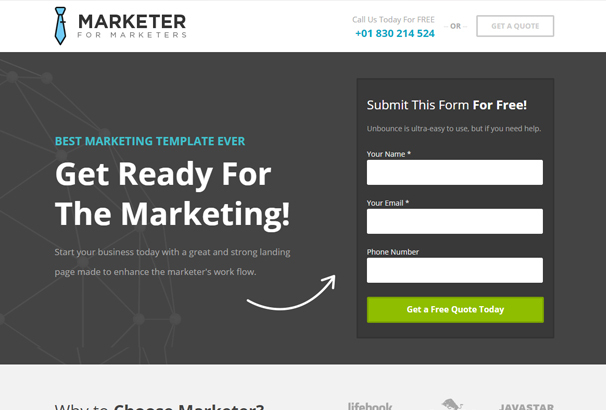 This template offers 2 landing pages, confirmation page, along with being fully responsive.